XMAN is the personal profile site template. 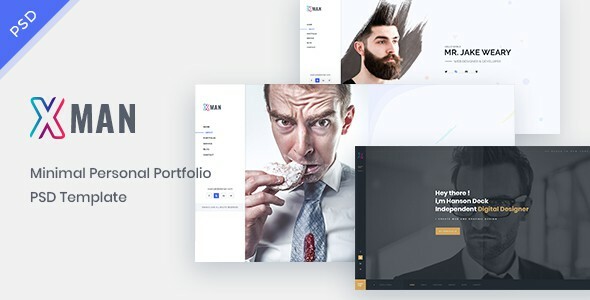 Main file includes 8 PSD file with 3 unique home page style. This template is highly customizable, and you can use this template for your personal profile, cv, resume and blog website.